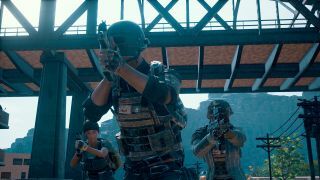 Tencent and PUBG Corp have announced the first-ever PUBG Mobile North American Invitational, which will see 16 of the most popular PUBG Mobile content creators battling it out in squads to win a cash prize. The aptly named ‘Player Well-Known’ tournament is part of PUBG Mobile’s new competitive initiative, and will take place on Friday, August 17 and Saturday, August 18 PDT (early Saturday and Sunday morning for those on BST). PlayerUnknown’s Battlegrounds (or PUBG as it’s commonly known), a battle royale which sees you fighting to be the last man standing, has become a worldwide phenomenon since its early-access release in March 2017. Selling over 50 million copies on Steam, it’s arguably responsible for the rise in popularity of battle royale titles such as Fortnite. PUBG Mobile launched in March of this year, offering players the chance to take part in the action wherever they please. While the console and PC versions of the title are losing players to Fortnite, the mobile counterpart surpassed 10 million active users just two months after its release. PUBG Corp is making a push to create a thriving competitive scene for PUBG Mobile with the Player Well-Known invitational tournament. Previously, the tournament has taken place in Indonesia and Thailand. The best PUBG Steam key and Xbox One prices.